An elegant crystal with your photo or one of a loved one. Who is eligible? Any proud member, current or past, of our US Armed Forces. Any immediate family member of a veteran (spouse, child, mom or dad). We know you serve too. This giveaway ends Tuesday, November 15th. If we don't hear back from our winners before November 22nd we will contact alternate winners. Watch for our official winner announcement on November 30th. This is just a small way to say Thank You! We hope you have a blessed Veterans Day and I hope I can pull your name as one of our winners. PS - If you have something to contribute to our giveaway - it is never too late. Contact leanne@militaryavenue.com with details! my hubby is in for 8 years, thanks to all our service members!! Thank you, Lydia for your service as a spouse and for your husband's service to our US Military! If you could send me your email address ( leanne@militaryavenue.com) so that I can enter your name in our contest. (I have to have a way to contact you if I pull your name out of our hat.) Thank you! Thank you, Cindy! I have put your name in our drawing. Best of Luck. My husband is a veteran 3 times over in his 5 years of service with the Air Force. I am so proud of him and the service he has given and gives everyday whether deployed or at home. Thank you, Maren. I have entered your name in our drawing. Best of luck! Thank you, Judy. We have entered your name in our drawing! Thank you, Amy. I have entered your name in our drawing. Best of luck! Thank you, David. I have entered your name in our drawing. Best of luck! Thank you, Erin. I have entered your name in our drawing. Best of luck! Thank you, Amy. It looks like I can message you via Facebook. If I draw your name I'll let you know that way. Best of luck! My husband has served for almost 25 years, both active and reserve. He has seen two deployments, a total of 26 months. I also served but was only in the National Guard so I don't count as a veteran but I can say how much little things like this mean. Being backed and supported is a good thing! Yes a soldier gets paid even though he/she volunteers but that pay is nothing compared to what is given and lost!! Thank you, Christine. It looks like I can message you via Facebook. If I draw your name I'll let you know that way. Best of luck! My husband just returned from Iraq in support of Operation New Dawn. He is not only a hero to me, but to our four kids as well. I subscribe on Facebook(and shared), as well as get the newsletter and alerts! Thanks so much for all you do to support those who defend!! it is disneymom97@yahoo.com...ugh. Fingers got too fast to type its a Monday. LOL. I joined the USAF in 1972 and retired in 1993. My husband also served for 20 years and our daughter is active duty USAF, carrying on the family tradition. So many wonderful memories during our enlistment, so many wonderful people. We are now retired and living in Alabama. Proud to have served and proud of those who are serving today! Thank you for this awesome opportunity! What a wonderful thing to do.. My husband Max has been in the military for 22 years. He is currently deployed to Afghanistan on his 5th deployment. He is a proud father of 5 children. We love, miss and are very proud of him! Thank you, Greg. I have put your name in our drawing. Best of luck! Thank you, Holly. I put your name in our drawing two times. Once for your comment here and another based on your comment on our facebook page. Best of luck! Thank you and to those that you love that also serve! What a wonderful testament to our veterans heritage. I have entered your name in our giveaway. Best of luck! Thank you. I have entered your name in our giveaway. Best of luck! Thank you, Christy. I have entered your name in our drawing. Best of luck! Thank you, Debby. I have entered your name in our drawing. Best of luck! Thank you, Amanda. I have entered your name in our drawing. Best of luck! Thank you. I have entered your name into our giveaway. Best of luck! Thank you, Anessa. I have entered your name in our giveaway. Best of luck! My husband is currently serving in the Air force. Thank you so much for hosting this! At the age of 19, I told the recruiter I'd think about it and after 20 years - I have just completed my training with in my 1st year in the Army National Guard. Just in time for our deployment!! Thanks to all who have served before me and I apologize for my procrastination - It truely is an honor. My husband, Daniel, is a Corpsman in the Navy. He has served over 18 years and has been deployed to combat areas four times. We are so proud of him and all that he has accomplished. He is the hardest working, most loving, compassionate man I know. Thank you for the recognition to our military past and present. You guys are awesome to keep up with all the deals & discounts for Vets! My husband Joe has been an active duty soldier for 7 years, and in that short time has dealt with three long, tough deployments (OIF & OEF). 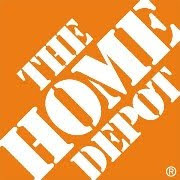 A huge thanks for offering the opportunity for this prize- I'm sure there are many military families just like us who are always in & out of Home Depot getting things to do household projects (our current projects we have going are re-doing the flooring in one room, re-insulating our attic, finishing our laundry room, and doing a small remodel on bay window- hoping to remodel the kitchen someday! lol). We subscribe to your newsletter, Facebook page, and alerts :) My email address is --- cmrich0511 at gmail dot com. Thanks again!! Thank you, Amber. I have entered your name in our giveaway. Best of luck! Thank you, Candace. I have entered your name in our giveaway. I can't find your email address in our subscriber database. Did you perhaps use a different one? Let me know and we'll be sure to get your additional entries in :). (Otherwise, just subscribe again: http://militaryavenue.com/Answers/Signup.aspx Best of luck. Thank you, Eddie. I have entered your name in our giveaway. Best of luck! Thank you. I have entered your email-address into our giveaway. Best of luck! Thank you. I have entered your email address in our giveaway. Best of luck! My Husband has been in the Army for 17 years...so close to retiring! Thank you for the opportunity. I just wanted to say thank you for this wonderful opportunity you are giving to military families everywhere. 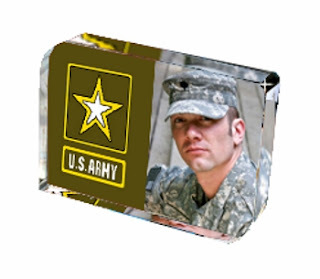 My name is Matthew and I have been Active Duty since Jan of 2008, where I started my Army career at Ft Sill, OK. I completed both Basic & AIT there. From there, I got stationed at my first duty station, where I am still currently at nearly 4 yrs later, which is Ft Bliss, TX. I deployed to Iraq in 2009 and returned back home in 2010. During my deployment, my wife gave birth to our first child. Luckily, I was able to come home on mid-tour and witness the birth of my son. The Army has taught me so much in these past 4 years, and I can definitely say, I will have some stories to share with my son when he's older. Anyways, thank you again, everyone, for all the love and support you show to our Troops. You may not realize it, but we DO appreciate everything! Thanks again, and God Bless. Tania, thank you. I have entered your name in our giveaway. Best of luck! Deborah, thank you. I have entered your name in our giveaway. Best of luck! Thank you for your service as a military-family. I have entered your email address into our giveaway. Best of luck! I served in the US Army for 2 and a half years where I met my hubby. I then took on the role of military spouse. In January we will hit our 15th year in the military and it has been a wild ride but a ride that has been made easier by awesome resources such as military avenue! Thanks so much for all you do to support our military and their families. I believe I am subscribed to the newsletter - not sure, I receive a lot, lol. I do know I follow you on FaceBook and on Twitter. My name is Janet McIntosh and my email address is ariel28771 @ googlemail.com . Thanks again and have a wonderful Veteran's Day!! Hugs! Thank you, Matthew. I have entered your name in our giveaway. Best of luck! Janet, thank you. I have entered your name in our giveaway. I did double check and you are a subscriber to our newsletter and Military Alerts. That is two additional entries. Let me know if you share the giveaway with your friends on Facebook and / or Twitter and we'll give you throw your name in there a couple of more times. :) Best of luck! Hello, I am TSgt Everett Adams and I have served in the U.S. Air Force for past 8 years. I am married to the love of my life and have two beautiful kids, Jacob 3 years old and Sarah 2 years old. My son was diagnosed with Asperger syndrome in June of this year. Since my son's diagnosis we have tried many different doctors and treatments that have resulted in a big improvement in our child's development. So far, our family has been blessed. Our family, our military family, friends, companies and groups that have active duty and veteran assistance/help has had a big part in our family success and our blessings. We thank you and others that take intrest in helping veterans and their families. My husband is in his 4th year of AD Army and he served in the USAF for 4 years before that! I've spent over 3 years as a military spouse and was a military fiancee and girlfriend before that while he was still in training. I already subscribe to a lot of your military avenue things and follow you on facebook, which is how I found out about this giveaway! You all are doing amazing things! aprilledonaldson at yahoo dot com. Shout out to SSG Stanley Spears. I miss you tons. Thank you for this opportunity! All companies are doing such a nice thing for the Armed Services! My husband is getting ready to retire from the Navy after 30 years, very scary! It has been such a great career, and the Navy has treated us so well! We will soon be adjusting to a new budget after the fast approaching retirement date. Great to have an opportunity to have the chance to win one of these great prizes. Thank you! You guys do a great job of keeping us informed! I do subscribe to the e-mail newsletter and alerts, as well as following on twitter. I am also connected through facebook and will be sure to share. My son left for USMC boot camp 2 weeks after high school graduation in 2004 and served until 2008. He was deployed in support of both OIF and OEF. During his time of service I realized the little information and support that is available for Blue Star Moms. I didn't want other moms to travel the road alone as I did, so after a lot of research, thought and prayer I got some moms together and Hope At Home Ministry, a support group for women with loved ones in the military was established. (You can check us out on facebook) I've been honored and blessed to share in the lives of moms, grandmas, aunts, sisters, wives, fiances, and even friends of those that serve. My son's enlistment was 4 years, but I feel any Veteran's service is really for a lifetime because of all they gave up during that time. We were blessed that he came home, is happily married and focusing on his future and never forget his many buddies that came home injured or didn't return home and their families. Each day our family lives to honor them and all Veterans. My name is Sarah Bonner. I served in the United States Air Force from 2004 through 2006, stationed in Kaiserslautern, Germany at Ramstein Air Base. I hoped to make a career out of the military. Unfortunately, a freak accident and fall in basic training caused me to develop Chronic Bilateral Primary Lymphedema in my legs and feet which later earned me an honorable medical discharge. I'm now using my Veterans Benefits and going back to school to be a social worker. I'm very privileged and proud to say that I'm also a Fellow with The Mission Continues! I'm getting to serve alongside The Rescue Mission Ministries, a faith-based homeless shelter in Roanoke, Virginia who's mission is to Help People in Jesus's Name! Serving has allowed me to find myself again and has given me a new purpose and drive! I'm very proud to serve again and grateful for my new unit The Mission Continues! 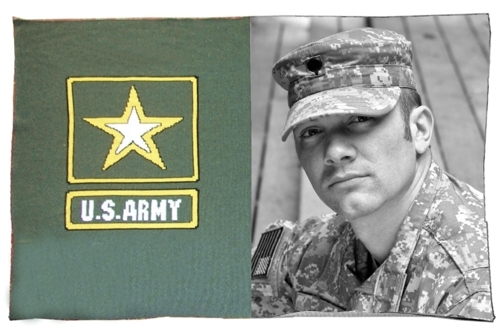 My husband enlisted in 2009 and is active duty Army. He is currently serving his country in Afghanistan. The kids (we have 3 small children) and I are holding down the homefront until he returns sometime next year. As a military spouse I love having resources like military avenue available to me. My name is Angel Boessen and I am a very proud Army Wife!! My email is littlebluefroggie @ yahoo. com I hope that everyone remembers to thank a veteran this Veteran's Day! My name is SGM Shannon and I have been in the US Army since Jun 1972 and due to retire next year 2012 with 40 years of service. I am a Viet Nam, Dersert Strom and Iraq Freedom Vet and pround to serve. My husband has served in the Army for 6.5 years and is gearing up for his second deployment. The army has allowed for our family to do and see things that other people can only imagine. It brings on challenges that many people don't face, but it is necessary to jump over the hurdles and move on. My name is Andrea Martin and my e-mail address is andrea.martin523@gmail.com. Thanks for supporting our troops! I am not a service member but I am the Spouse of a Service Member in the US Army. My husband loves what he does and it makes me proud of who we are that he enjoys his duty to our country. We are hitting our year and a half mark and it has been quite the journey already. This is our first time away from home and away from our family. Now it is time for us to do what is right for our lil family of 5. We have three wonderful kids ages 2, 4 and 7 and if can be difficult but we know it is the right thing to do. I can not thank families like mine enough for what they are doing for our country, you really do become family with the people you meet. My email is laurencrusham@gmail .com Thanks and Happy Vets Day. 23 yr service in US Air Force. A son who also served 11 yrs.Thanks to all who have served! thanks to all veterans past and present! Im retired Air Force and Vietnam Vet thank you and thanks to all the vets past and present. I am Trent Watson I served in the Cold War as military Intelligence working directly against the GRU at the peak of the cold war in 1983 when the Soviet union alm ost Vaporized all of our major cities, few people know that their strategic rocket forces had their missles fueled and ready to go We missed total annihilation by about 20 minutes. Thank you for your service! I have entered your name in our giveaway. Best of luck. Thank you, Trent, for your service! I have entered your name in our giveaway. Best of luck. Thank you, Jamie, for your service! I have entered your name in our giveaway. Plus an extra entry for being a Military-family newsletter subscriber and a third entry for being a Military Alerts subscriber. Let me know if you share the contest with your friends on Facebook and I'll be sure to give you an extra entry. Best of luck. Thank you, Peggy. I have entered your name in our giveaway, plus an extra two entries for being a military-family newsletter subscriber and Alerts subscriber. Best of luck! Thank you, James. I have entered your name in our giveaway. Best of luck! Thank you, Lauren. I have entered your name in our giveaway. Best of luck! Thank you, Cassandra. I have entered your name in our giveaway. Best of luck! Thank you, Andrea. I have entered your name in our giveaway, plus one extra entry for being a military family newsletter subscriber. Best of luck! Thank you, Shelly. I have entered your name in our giveaway. Best of luck! Thank you, Cyndi. I have entered your name in our giveaway. Best of luck! SGM Shannon, thank you for your 40 years of service! I have entered your name in our giveaway. Best of luck. Angel, thank you. I have entered your name in our giveaway plus an extra two entries for being a military-family newsletter & Military Alerts subscriber. Best of luck! Thank you, Sarah. I would love to enter your name in our giveaway but need to know your email address in case your name is drawn. Please, reply with your email address. Love the picture you attached and so glad to hear about your affiliation with The Mission Continues. What a great organization! I have served from 1986 until 2006 in the Marine Corps and then only after 4 days out of the Corps, I joined the Active Army National Guard. I am still serving with great honor. Thank you so much for supporting our troops. I can be reached at Jkredn6 at aol dot com. Raised by two veterans, both of my brothers serve, served 9 years myself and married a soldier. I am so thankful for the unique bond, I share with my fellow veterans and military spouses. So grateful that this nation shows it's appreciation, it has not always been so. This day, and every day, I vow to raise my children to respect our country, our servicemembers, and to stand up for the values upon which our nation was founded. Thanks to all who serve, Happy Veterans day! I am signed up for the military family newsletter, and monthly alerts. Thank you for the chance to win some great prizes! My husband has been in the army for 11 years, and currently is deployed to Afghanistan. My name is Cynthia, email address is cynsworl34@yahoo.com. My name is Joseph Redden. Thanks again for the support. I would love to enter my husband! He is in the US NAVY for 12 years now, He has been deployed for 5 out of the past 6 years. He sacrifices so much for our country and for his family. He is my hero. 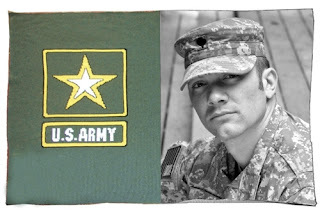 My Husband has been in the Army for 14 years and still going! Thank you for this wonderful opportunity! I already subscribe to the MilitaryAvenue newsletter!